In a move that was never likely to suceed, Barcelona has seen its latest legal challenge to FIFA over an imposed two year transfer ban fail. The ban was handed down in April after FIFA uncovered evidence that suggested that Barcelona had broken transfer conditions in relation to the signing of minors. They are accused of signing 10 international youth players aged 18 or under illegally between 2009 and 2013. FIFA only allows the international transfers of players over 18 unless a set list of criteria is met. That list includes that under 18’s can move to another country if their parents are moving for non footballing reasons or if they are from another EU nation or if they live within 100km of the club. Whilst FIFA has not indicated which of the three criteria was not met or indeed breached, the severity of the ban suggests that they believe that they need to take a stronger approach with Barcelona than other cases of a similar nature. Many believe that Barcelona is being used as an example by FIFA as it attempts to retake control of European football from its biggest clubs. The balance of power has shifted dramatically in the last decade with clubs possessing more power at the table than the governing body. With UEFA caught firmly in the middle and Michel Platini reluctant to rock the boat, FIFA have been looking for ways to peg back the clubs and put them in their place. Yesterday’s plea for leniency fell on deaf ears and is a bitter blow to the Catalan club. However Barcelona did manage to get the ban temporarily suspended until the appeal could be heard which meant they could spend heavily this summer. 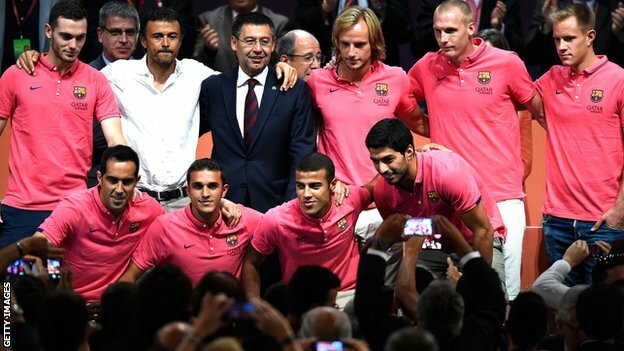 Needing to revitalize their squad after a disastrous campaign last season, Barcelona have wasted little time in strengthening bringing in goalkeepers Marc Andre ter Stegen and Claudio Bravo, defenders Jeremy Matthieu and Thomas Vermaelen, midfielder Ivan Rakitic and controversial front man Luiz Suarez for a combined €162 million. Suarez signature alone set the club back €81M but his move is seen as a long term investment as the player is serving a FIFA imposed ban himself of four months for biting an opponent. But with the ban now reinstated, new manager Luis Enrique will have to make do with the squad he has for at least two more transfer windows unless Barcelona’s lawyers can have FIFA’s jurisdiction overturned. 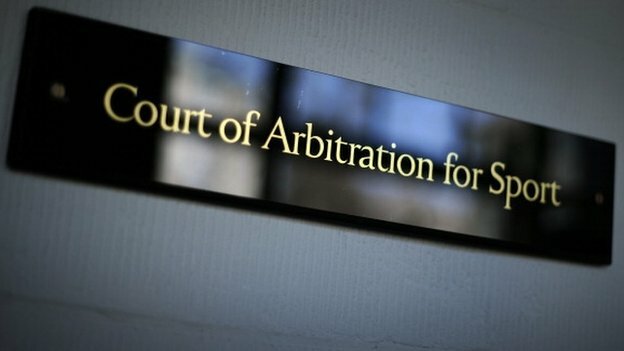 The only way for them to do that is to take the case to sports highest court, Court of Arbitration for Sport (CAS) in what is seen as a last throw of the dice. It’s a move expected by FIFA but will not please the governing body as CAS has a tendency to lean more towards the clubs and individuals rather than organizations like FIFA who they see as having too much power. There is bad blood between the two after CAS overturned FIFA’s decision to ban former executive Mohamed Bin Hammam’s lifetime ban from all football activities due to bribery allegations. 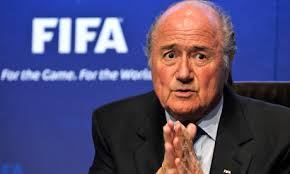 CAS threw out the ban based on a lack of evidence in a move that irritated FIFA president Sepp Blatter. Barcelona will argue that FIFA has failed to collect sufficient evidence against them for the ban to hold weight and that it too should be thrown out by CAS. However their experiences in front of CAS in recent months have not all gone to plan with CAS supporting FIFA’s ban of Luis Suarez, albeit slightly altering the terms of the ban to allow him to train with his new club.